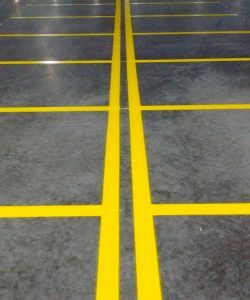 Warehouse Floor Striping Ensures Efficient Use of Space | ID Label Inc. If you’re constructing a new warehouse or distribution center, or reconfiguring an existing facility, be sure your bulk storage floor locations are properly marked. “Professional warehouse line striping ensures that space for bulk inventory is maximized in an efficient and effective manner,” said Brian Blair, ID Label’s installation services manager. 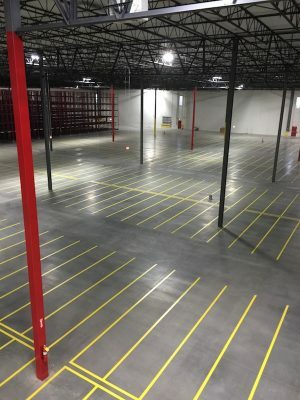 – Jack Katz, Inventory Control Manager, Lifeway Foods Inc.
ID Label offers complete floor striping services to properly and professionally designate your bulk storage areas, as well as forklift and pedestrian traffic areas. Overhead signs are highly recommended for identifying and managing bulk storage inventory. 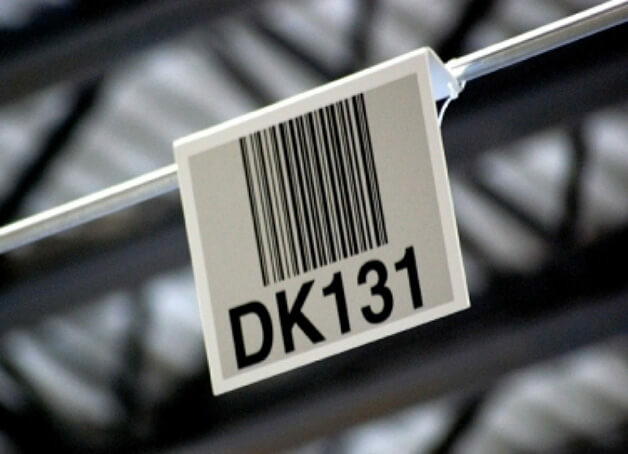 They typically contain a barcode image and human-readable numbers or letters. Contact us to discuss your environment and best options.